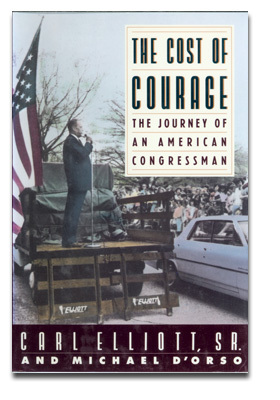 From Publishers Weekly: Former Democratic Alabama congressman Elliott, assisted by Virginia journalist D'Orso, here recounts his role in the struggle for civil rights--and against George Wallace. Recognized by the first John F. Kennedy Profile in Courage Award in 1990, this largely unsung hero emerges from years as a destitute invalid to recall his part in passage of the National Defense Education Act and membership in the House Rules Committee under Kennedy. With zest and without self-pity, he relives his youth as a Southern tenant farmer, his hard-earned education and his career as a "barter" lawyer for the miners and dirt farmers who sent him to Congress in 1948. The Klan, Birchers and the Wallace machine defeated Elliott's bid for reelection to a ninth term and a 1966 gubernatorial attempt which ruined him financially and ended his political life. The narrative is rich in portrayals of political figures, including the "fearsome magnetism" of a ruthless Wallace.